Most major insurance plans accepted. For most everyone with traditional insurance we accept and process your insurance. We accept most regular (indemnity) and PPO insurance (out of network), and we are participating providers in United Concordia Tricare PPO, Delta Dental PPO Plus Premier Plan, CareFirst, Blue Cross Blue Shield PPO, and Cigna. A participating provider of a plan has agreed to write-off any amounts between their usual fee schedule and the lesser fee schedule of the insurance company (exceptions exist for particular procedures). Non-participating providers have no obligation to write-off amounts and patients are responsible for any applicable deductible and copay or coinsurance. If you have insurance questions, please call (not email) Pat or Mariela. We will file your insurance as a courtesy so you don’t have to, and we’ll do our best to collect all charges from your insurance; however, if any difficulty arises with processing insurance claims it is your responsibility, and any balance is still due to us. We work hard to submit claims accurately and thoroughly, and if you have any questions regarding insurance or proposed treatment please don’t hesitate to discuss it before treatment. I diagnose and perform treatment based on what is appropriate in discussion with you, not what your carrier feels is appropriate. If you have any doubt as to whether your insurance plan will pay a benefit on a given procedure it’s then best to get a predetermination from your carrier that we can prepare and submit for you. Basic (cleaning, x-rays, fillings) — Insurance is submitted and you are billed for any difference. 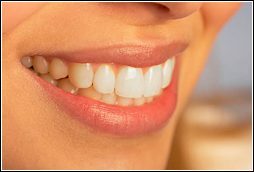 Extended (crowns, bridges, implants, dentures, bite guards, periodontal, etc.) — Half of our fee is due at the time of delivery, and again insurance is submitted and you are billed for any difference. Note: our monthly billing cycle may include your balance even if insurance has not yet paid. This can get confusing, and I apologize for this; however, a quickÂ call to usÂ will reassure you with any questions you may have. Payment is due at the time services are rendered. We accept checks, Discover, Visa, MasterCard, and American Express. We also offer CareCredit with no interest, and other extended payment plan options. There will be a $35 charge for any returned check.